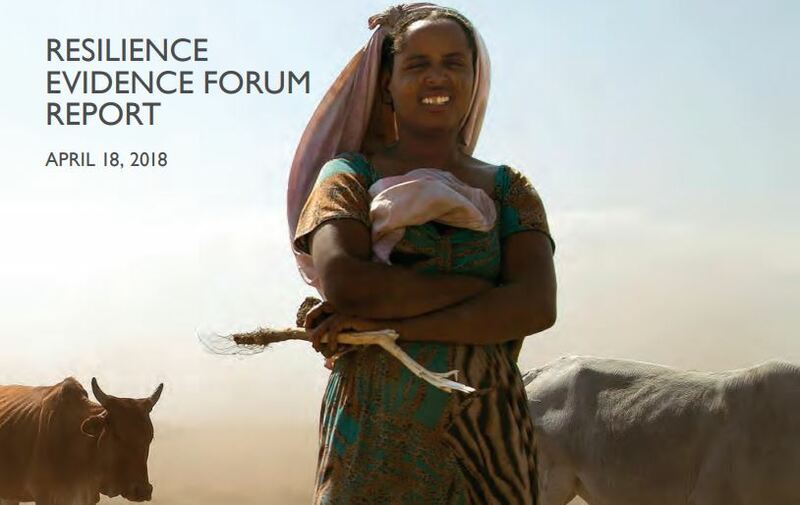 The United States Agency for International Development (USAID) organized the Resilience Evidence Forum in October of 2017. Its goal was to take stock of the latest evidence on resilience and its implications for policy and programming. Over 150 people participated in the forum, including USAID headquarters and field-based staff, implementing partners, non-governmental organizations (NGOs), United Nations organizations, donors, universities, research organizations, and partner-country government officials. The evidence presented provided new insights on sources of resilience that enable households, communities, and countries to manage and adapt to adversity and change without compromising their well-being. That evidence, and the resulting discussion, are presented in the Resilience Evidence Forum Report, which was published on April 18, 2018. See the Resilience Evidence Forum Report (PDF).